Many portable headphones have comfort problems. To reach those higher echelons of portability, manufacturers strip away as much material as they can. Fabric and padding is replaced with silicone, then forced against or inside your car canal. And that can be cozy, for a couple of hours. But among these exceptionally small headphones, even the most comfortable of them will eventually outwear their welcome. Solving those comfort problems in a more permanent way is fairly simple to do. You’ve just got to select slightly larger headphones. It’s all a matter of how much portability you’re willing to surrender in exchange for comfort, battery life, and sound quality. It’s not often you encounter a hybrid like the SoundPEATS A2. They’re actually deceptively simple, yet quite powerful. For starters, they’re actually a wired/wireless hybrid. Their primary mode of operation is fully wireless. But with minimal effort, you can transform them into a wired headset, and greatly extend your battery life in the process. Their comfort is an equally unusual mixture. Over-ear headphones are traditionally among the largest and least portable headphones. They’re also far-and-away the most comfortable type for lengthy listening sessions, in the majority of all circumstances. The SoundPEATS Wireless Headset are fairly clearly constructed to be small and portable, yet they’re also built to be used over-ear. How they pull this off is all in the details. Internally, the SoundPEATS A2 Wireless Headphones are constructed with 40mm drivers. That’s somewhat on the smaller side for over-ear headphones, which is an ongoing theme throughout their design. Externally, they use a standardized black chassis. It has almost no highlighting to speak of, with the exception of an “S” logo on each ear-cup. The ear-cups are built with a closed-design, intent on keeping ambient noise from entering into your headset while you’re listening. It also helps to stop the things you’re listening to from bleeding out into the environment around you. 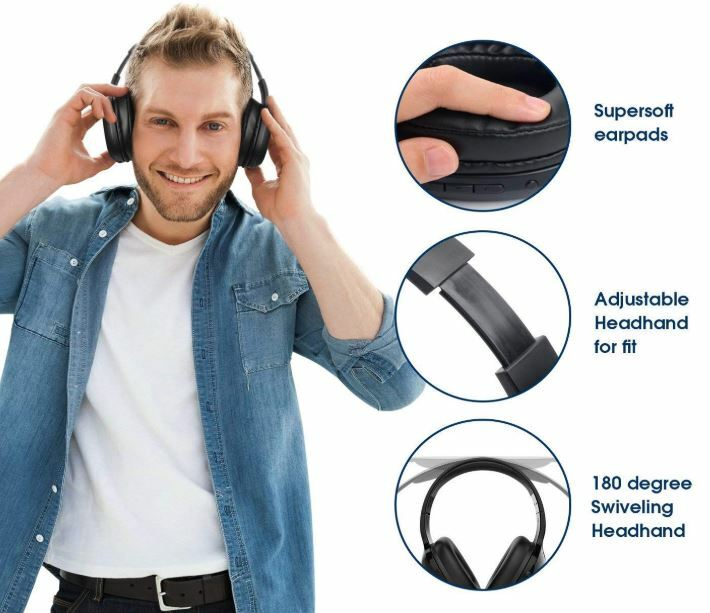 These are good design choices for portable headphones, as you generally only want ear-cups with an open-design when you’ve got a controlled noise-free environment. Along the backside of the right ear cup, you’ll find a handful of control buttons. Starting from the center of the group, there’s a multi-function button. It can play, pause, hang-up, and answer calls. The button is slightly elevated, helping to provide tactile feedback for separating the two volume buttons that surround it. And that makes it easier to find either button while the headset is still on your head. The topmost button is a bass boost button. The somewhat small 40mm drivers used by the SoundPEATS A2 mean their bass could use a little extra love. If you’re an enthusiast for bass tones, it’s likely you’ll hit the button and leave it on. Just below the bass boost is a small blue LED, which lights up to indicate charging status and wireless power. This light is generally not visible during operation, so it doesn’t become distracting. As far as comfort is concerned, the SoundPEATS Wireless Headset has several things going for it. Over-ear headphones are already the most comfortable sort for long-term low-activity listening. The headband is adjustable with the standard up-and-down sliding bars commonly used by over-ear headphones. Just about the only thing the headband can’t do is fold. But the ear cups can. Each ear cup is adjustable in a 180-degree swivel. That provides adaptable comfort, but also it’s great for storage. Another huge advantage the SoundPEATS A2 have going for them is their weight. The A2 weighs just short of seven ounces, which hits the bullseye for the perfect headset weight. Many over-ear headsets start to wander towards the 1-pound line, often with the aid of metallic constructions and redundant padding. And that added weight causes those headsets to lose their comfort over longer periods of use. Excess weight is very often what makes a person feel relief after taking off their headset at the end of a day. Because day-long comfort is what the SoundPEATS Wireless Headset was built bring to the table. The A2 are constructed with memory-protein earmuffs, using the kind of thick padding you’ll only find on over-ear headphones. The padding is thick enough to provide a modicum of sound isolation, and it’s covered in a smooth faux leather that’s easy to wipe down. It’s said a rising tide raises all boats. 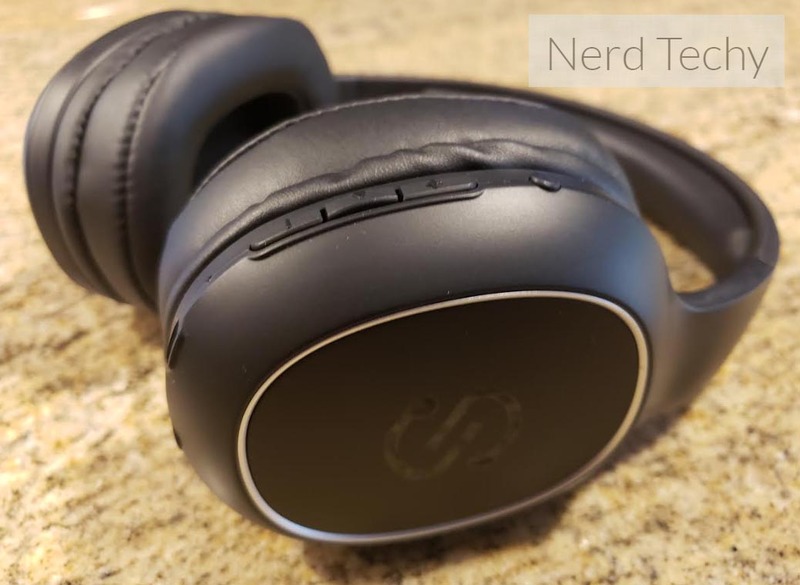 The SoundPEATS A2 Wireless Headphones may be evidence of that. The A2 benefits greatly from rising Bluetooth standards. As digital compression codecs improve, those types of gains enable even entry-level hardware to start sounding better and better. That makes the A2 an excellent choice for listening to almost any type of media. Movies, music, games, podcasts, audiobooks; the sky’s the limit when you’ve got the right dynamic drivers. And when audio engineers can create portable Bluetooth headphones using 40mm drivers instead of 10mm drivers, even amateurs can instantly hear the differences in sound quality. For all their portability, one big problem with using earbud headphones is they’re fairly incompetent when it comes to bass tones. And they’re scarcely better when it comes to delivering clarity in the treble range. But the A2 goes great lengths to overcome these limitations with its bass boost mode, which can be further enhanced with an equalizer. 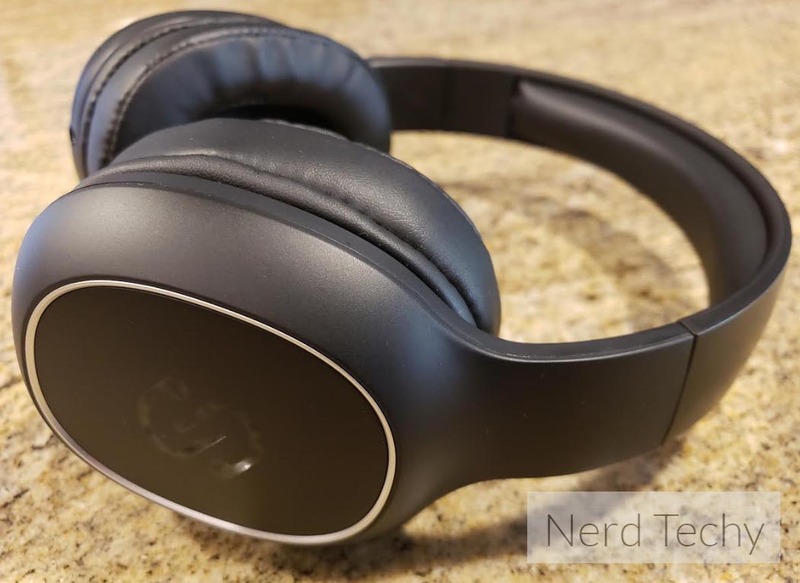 The resulting tones don’t quite reach audiophile capacity, but they do compare favorably with virtually any type of Bluetooth headset in this price range. SoundPEATS estimates a maximum of 20 hours of charge while wireless. That’s an optimistic estimate based on gentle music played at gentle volumes. When you’re using the microphone heavily, raising the volume substantially, you start to see closer to 10 hours of battery life. Ten hours is still a fairly respectable amount of battery power, and certainly enough to last most people through a full day of use. But because there is a 2-in-1 wireless and wired mode, looking at the battery equation is somewhat more complex. If you’re able to use the wired operation mode from time-to-time, you’ll end up squeezing a great deal more time out of the battery’s lifespan. For example, if you ran wired operation about half of the time, you’d end up with closer to 15-25 hours of power. Whether you need to get involved with those kind of maneuvers really depends on the battery performance you expect. In either case, it’s easy to appreciate is that it only takes about three hours to recharge from an empty battery. Not bad, considering how large the battery happens to be. 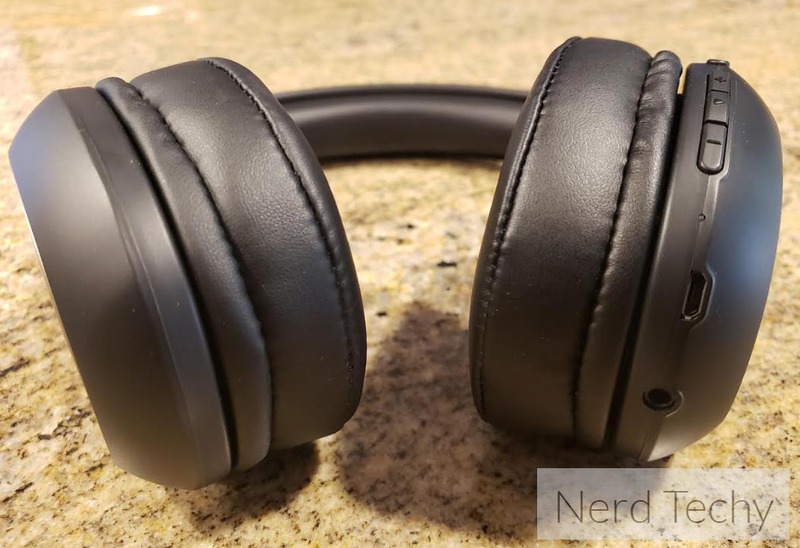 This won’t serve as a source of disappointment to many people, but the SoundPEATS A2 Wireless Headphones use a maximum 33-foot connection distance. That’s low-average, but certainly enough to connect to your phone or home stereo with little chance of having an issue. Along with Bluetooth 4.1, the SoundPEATS A2 make use of a CSP Chip. In short, they can remember devices you’ve paired with in the past, so you only have to set things up once. The wireless mode is just as simple to setup. It’s only a matter of attaching the 3.5mm aux cable. After which, your battery problems become a concern of the past. There’s one thing to keep in mind about the wired control mode. The headset’s adjustment tools, and especially its bass-boost button, does require wireless operation. Only the essential buttons, volume, and play/pause, will work in either mode. As with most wireless headsets these days, the SoundPEATS A2 Wireless Headphones deliver a built-in microphone. Unfortunately, an excellent microphone is one of the things that can quickly drive-up the cost of a headset. From price alone, you can tell that the SoundPEATS A2 Wireless Headphones will have a microphone that’s dead in the middle of average for its quality. It’s okay for taking calls, and clarity isn’t an issue if you stay out of exceptionally noisy areas. But the microphone does pick up a fair amount of noise. If you’re in a busy environment, like an airport terminal, then you’re going to send through all kinds of noise to callers. Avoiding those kinds of problems is really only possible by adding technologies like CVC 6.0 or by using several microphones instead of just one. But in either case, the cost of the headset would double or triple. The material construction of the A2 holds up to scrutiny. However, this headset is bent on being more compact than most over-ear headphones. And as a result, the depth of the foam which covers your ears is actually fairly shallow. It’s possible that after a few years of heavy use, the foam will become even thinner, potentially reducing the noise isolation of the A2. 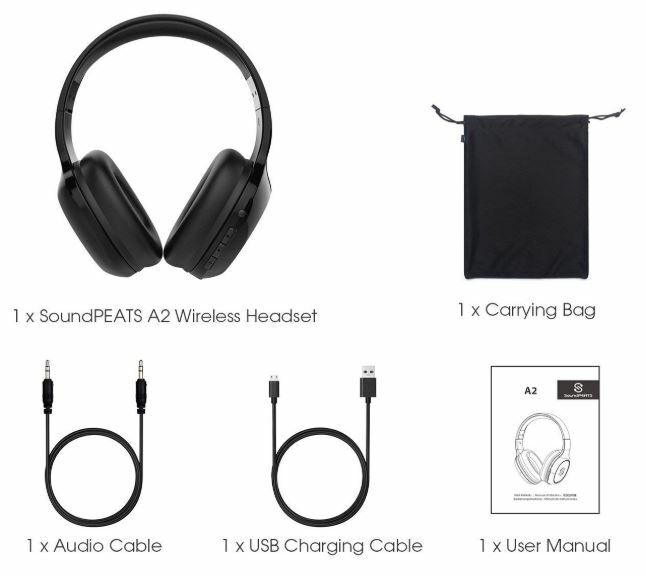 The SoundPEATS A2 Wireless Headphones are widely compatible with almost anything that supports either Bluetooth or a 3.5mm audio jack. Smartphones, tablets, PCs and consoles. It includes a user manual, 3.5mm aux cable, USB charging cable, and a carrying bag. The carrying bag is a simple cloth bag with a drawstring. Who Should Choose SoundPEATS A2 Wireless Headphones? 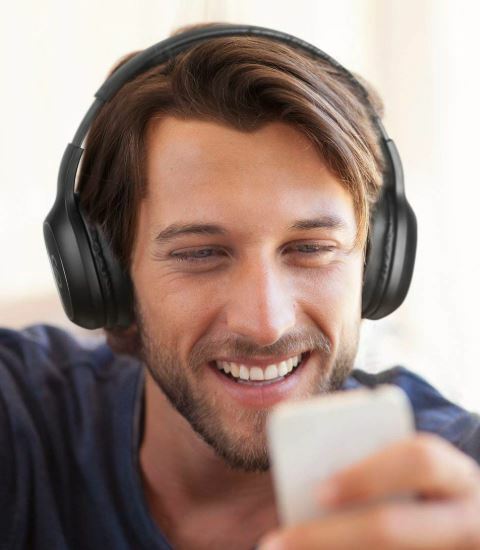 Over-ear headphones can do things other types of wireless headphones can’t. 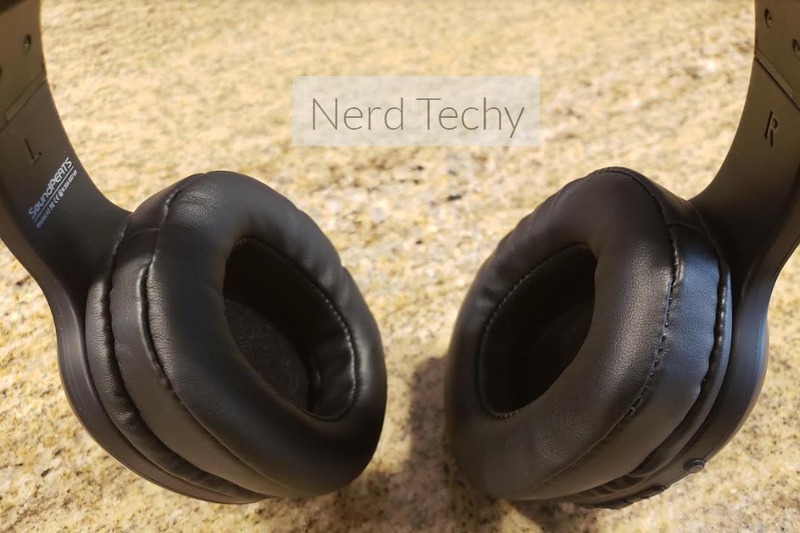 They’ve got better battery life, greater degrees of lasting comfort, and often better noise isolation. The SoundPEATS A2 is a demonstration of that in full effect. They’re a great option for someone who’s looking for sound quality, comfort, and battery life. The numerous adjustments the SoundPEATS A2 made in the interests of portability didn’t end up having any grave impacts on over-ear comfort or sound quality. That alone is a fairly stunning achievement. Being able to switch between wired and wireless modes quite convenient, and it can mean you’re not out of luck if the battery dies. When you’re choosing headphones, you generally want to go as large as you can manage. That’s what allows you to get the most comfort and sound quality per dollar. Over-ear headphones like the SoundPEATS A2 are among the largest headphones that you can still fairly call portable. 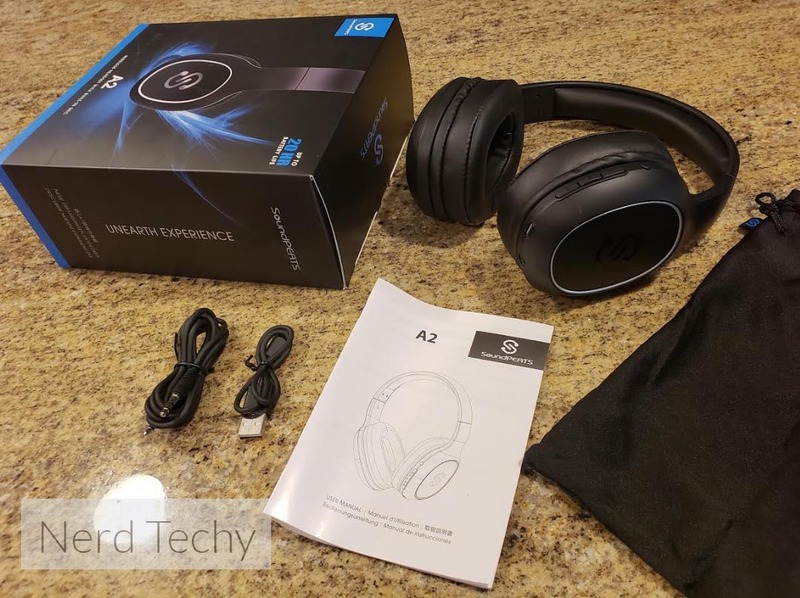 An excellent choice for someone looking for a comfortable entry-level wireless headset. These headphones were made to last. They are really nice quality and comfortable. The padding around the ears is nice and soft. Since it is “over ear”, it is even more comfortable to wear. The top of the head also has a padded section. The frame is very flexible and leaves no worries. The buttons on this headphones are placed in a perfect location. It is easy to find and click while wearing. The buttons play/pause, volume up/fast forward, and volume down/rewind. It also has a button for extra bass. This is a cool addition to headphones; Not many headphones offer this option. If the song had good bass this button will amplify the bass and still remains good quality. The sound on these headphones is great quality.